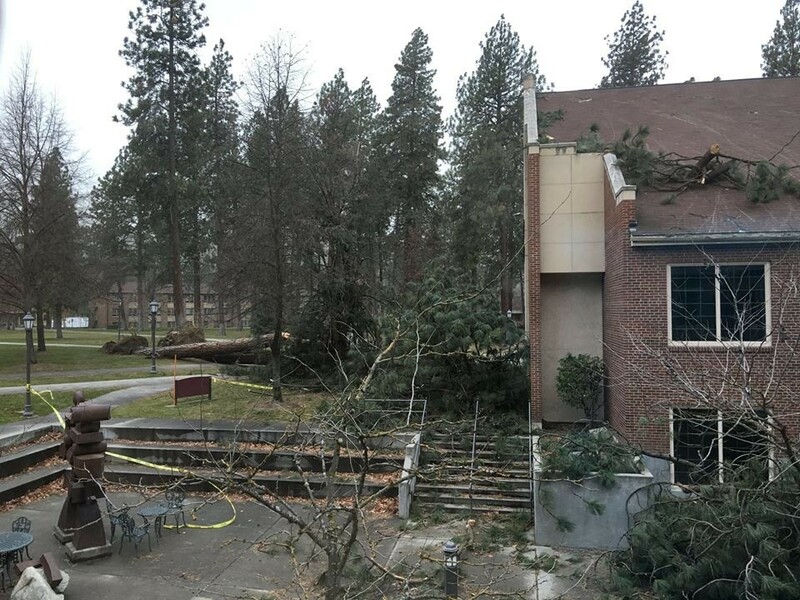 The morning after the record windstorm in the region, two are dead, trees are everywhere, the Whitworth campus is a mess — with the library hit directly — schools are closed and 158,000 are without power. KXLY reports the roof was ripped off of SpokAnimal's facility. Meanwhile, in Paris, gunfire rang out in a series of terrorism raids that ended with seven arrested and two dead. One of two dead blew herself up. Meanwhile, the New York Times reports that the family members of the raid's apparent organizer hoped he had died in Syria. Ben Carson doesn't know much about foreign policy say... aides of Ben Carson. Kevin Drum, of Mother Jones, asks if Obama could have prevented the rise of ISIS back in 2012. Obama uses the debate over accepting refugees to slam the GOP for "political posturing." The goofy "non-fiction" book about a bodybuilder, his gym-less workout regimen, and his friendship with Steve Jobs/Jungle Children, featured on Nathan For You, has become an Amazon bestseller. After the Paris attacks, this video has gone viral.